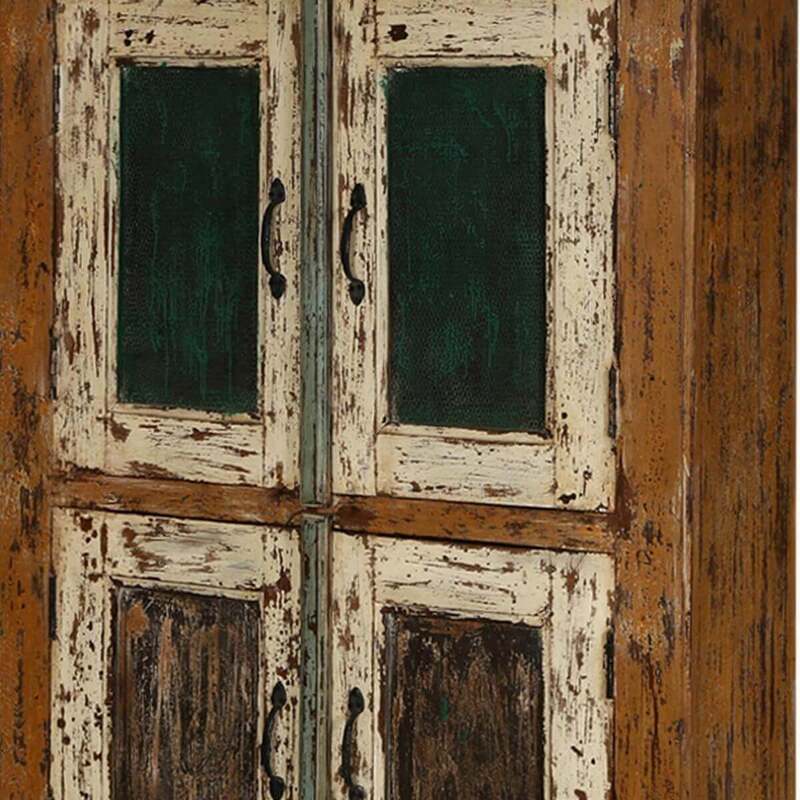 Planning to bring in the old-world charm to your interiors? Look no further. 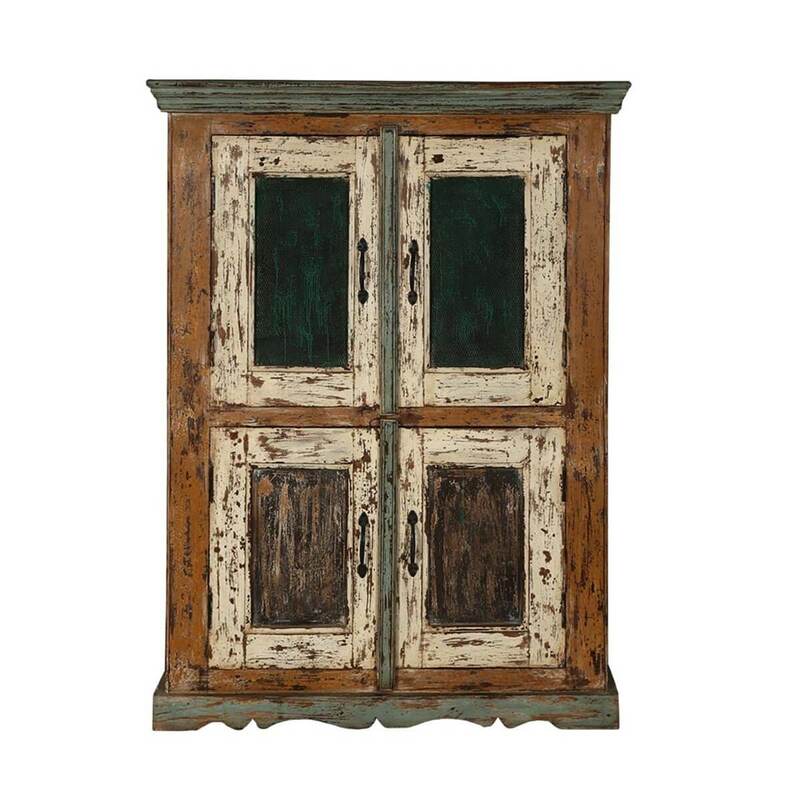 Our Lena Distressed Reclaimed Wood Handcrafted Double Door Storage Cabinet can do just that. 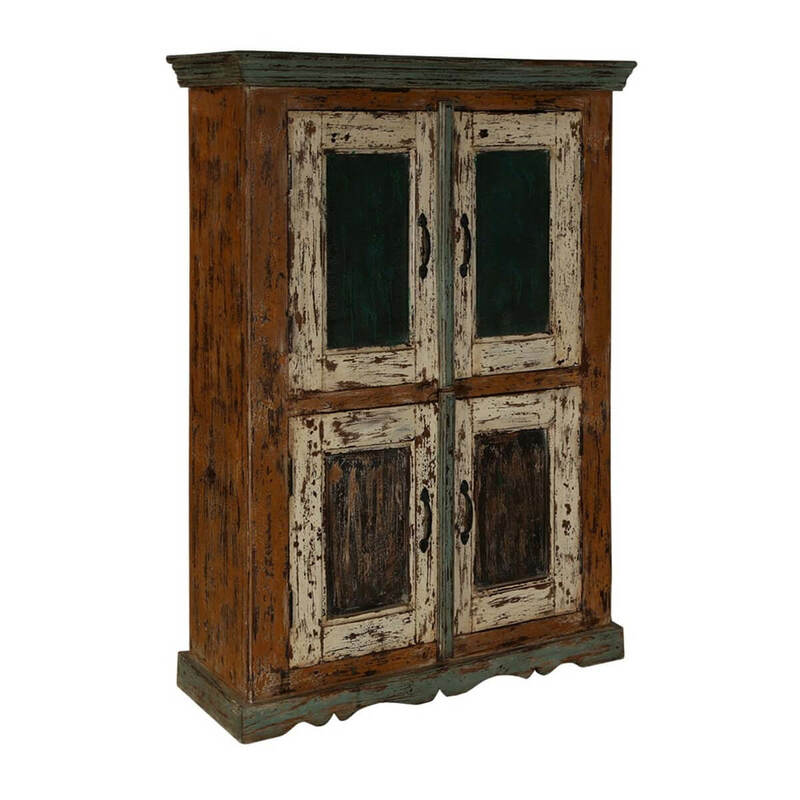 Handcrafted with reclaimed wood, this double door cabinet comes with two shelves of a height of 24” each. 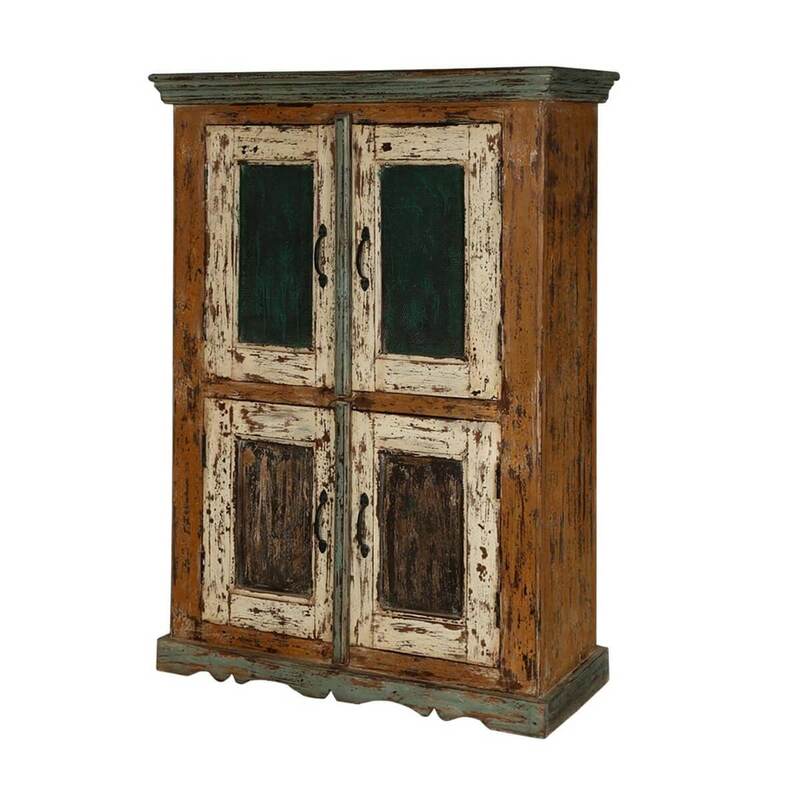 The doors of the cabinet are designed in columns of green and brown that add to its beauty. 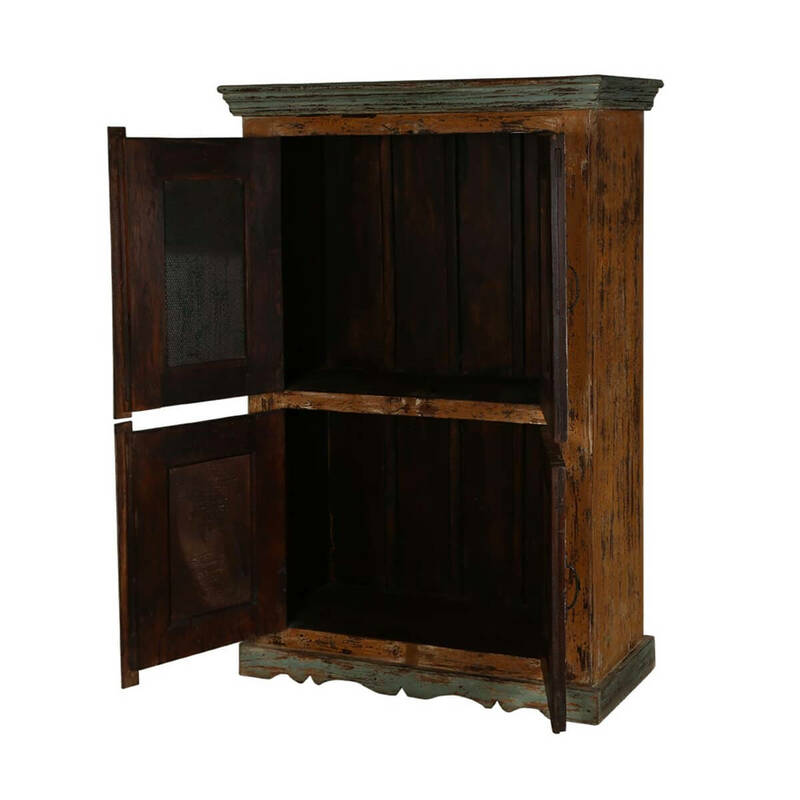 But what makes this storage cabinet stand out is the curved woodwork on its base. 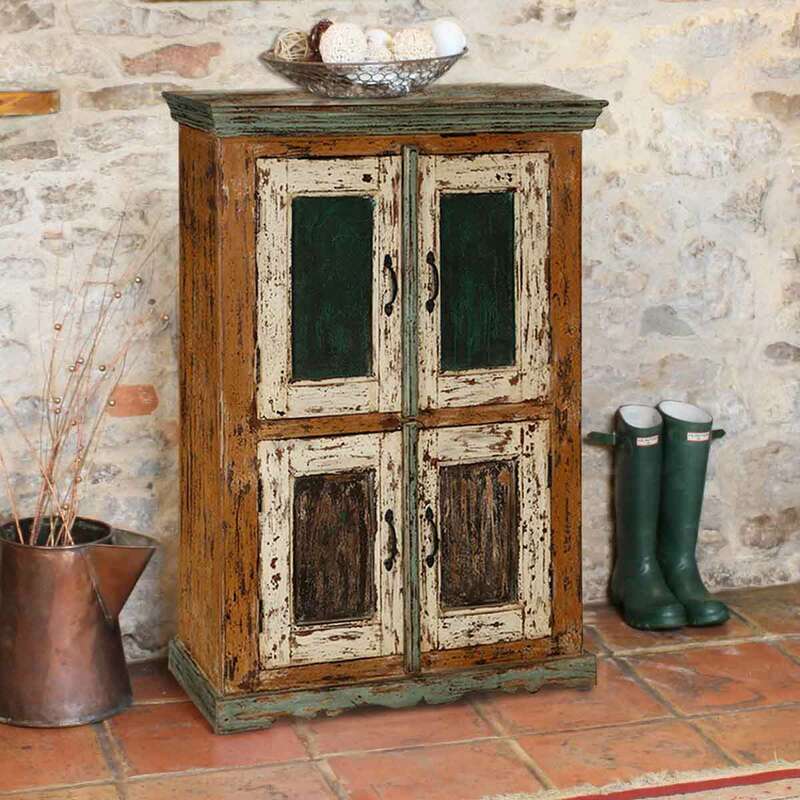 This multipurpose storage cabinet can be placed in any room of your house. 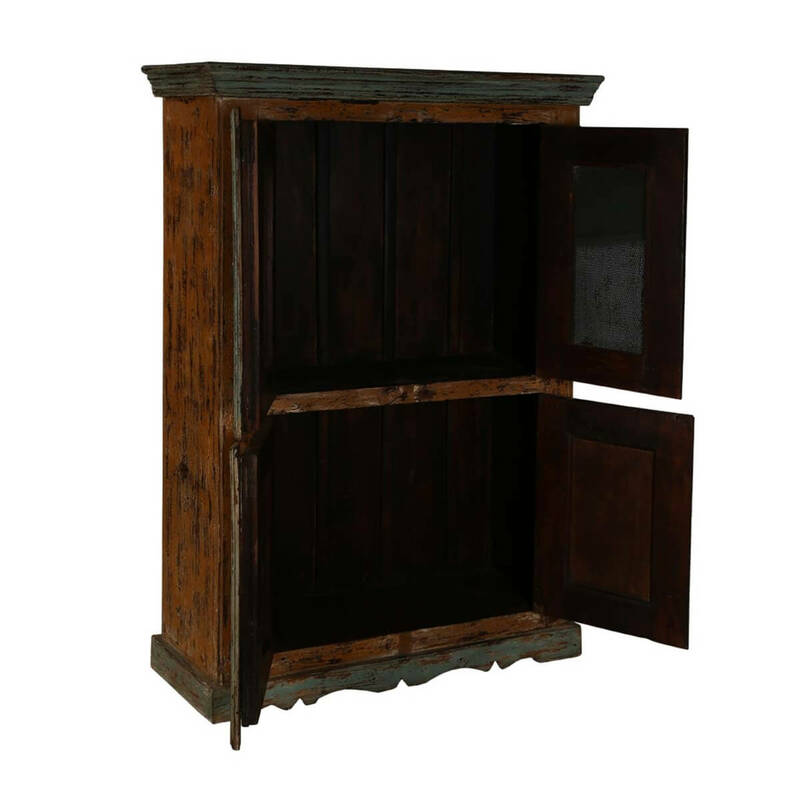 It can be used as a wardrobe for storing your dresses or in the dining room for storing your dining essentials. 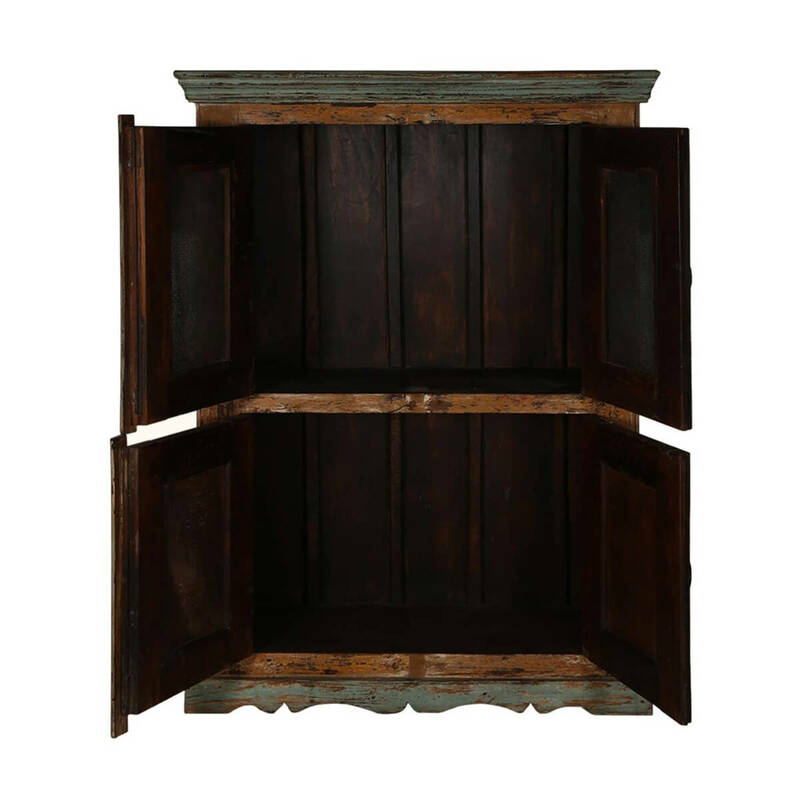 Whatever purpose it is put to use, this cabinet provides enough storage space. 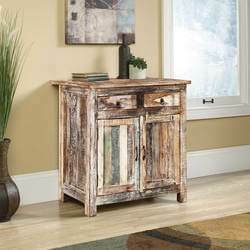 Since it is made of reclaimed wood, this cabinet is sturdy and tough and can stand the test of time. 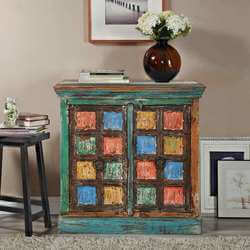 Make it a part of your furniture collection and change the look of your interiors. 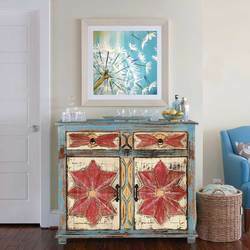 NOTE: Custom Options such as Size, Shape, Shade & Design are not applicable to this item. 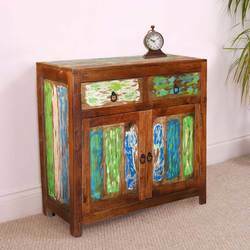 Reclaimed Furniture is subjected to have Slight Variations.